The petals weaken under the drops of rain that have found their way into the folds. 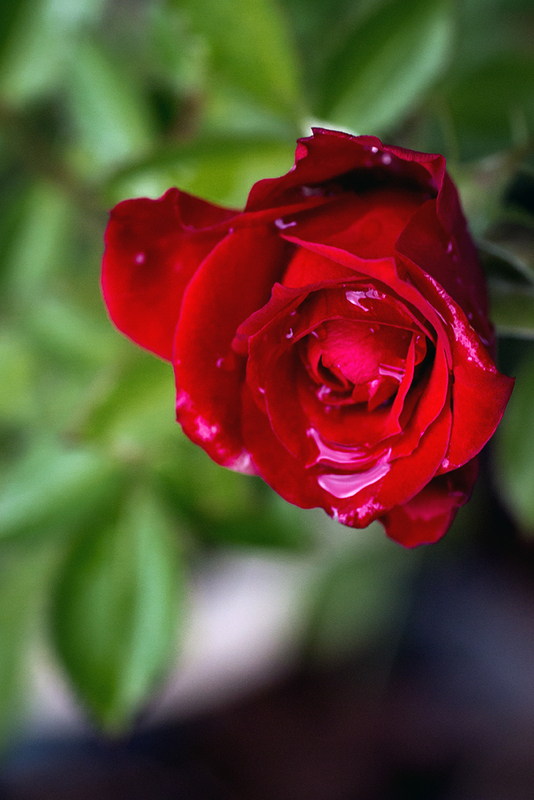 At any moment, the drop could fall, making way for the petals to relax some until the next rainfall. The color bright and new, even though it is autumn. Beautiful.